The Denver Mini Maker Faire was great and thanks to everybody who visited the booth! I was impressed with the number of visitors interested in embedded security and my Tor relay demo attracted a few die-hard Tor fans! 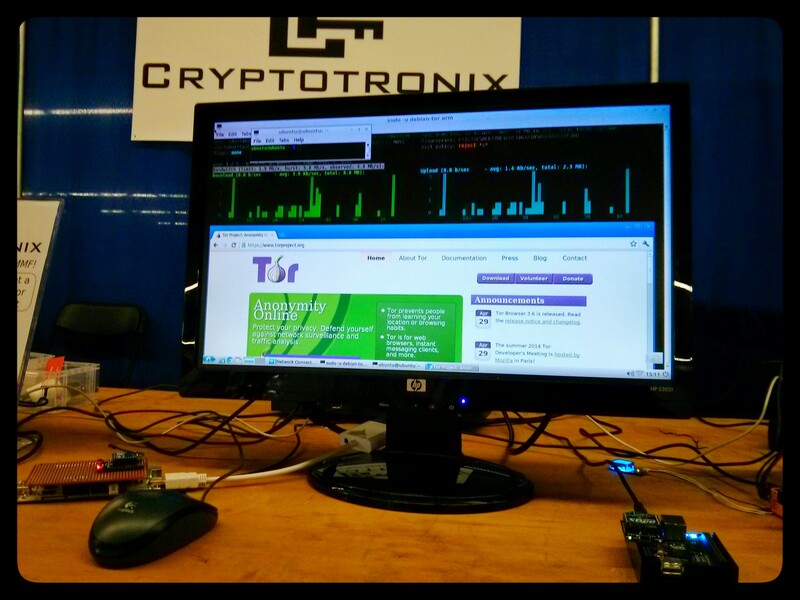 This demo showed the live stats from my BeagleBone Tor relay. It was fun showing off the CryptoCape and everybody walked away knowing how to better protect their anonymity online. I was in front of the cardboard challenge and it was amusing to see the projects made by the kids. The popular projects were robot suits and animals. I think the conversation-starting-green shirt helped attract visitors. It might take a couple of days for my voice to recover, but I would do it all over again. The maker community is an inspiring crowd! 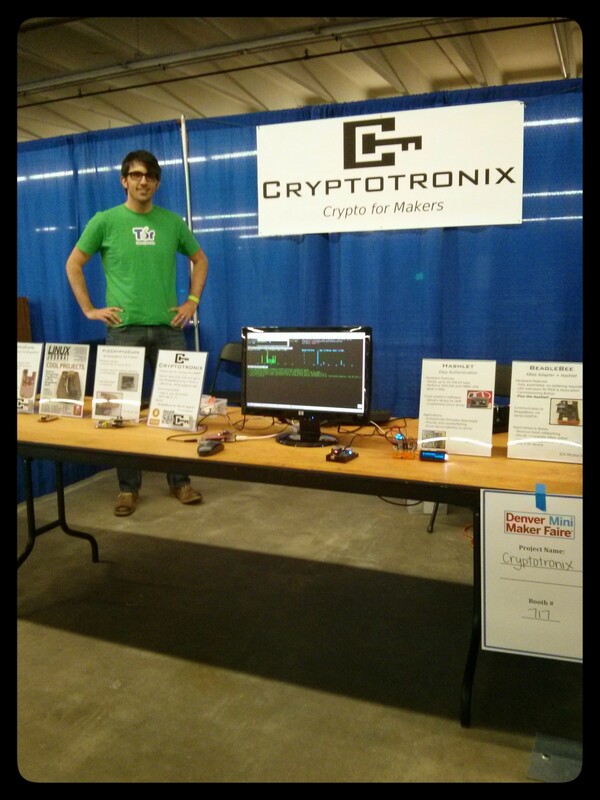 ← Visit Cryptotronix at the Denver Mini Maker Faire this weekend!